"This important book brings together valuable resources and insights in a key area of practice which has often been overlooked, and where disadvantage and discrimination are rife, but which also deserves and demands serious attention of the kind offered here." 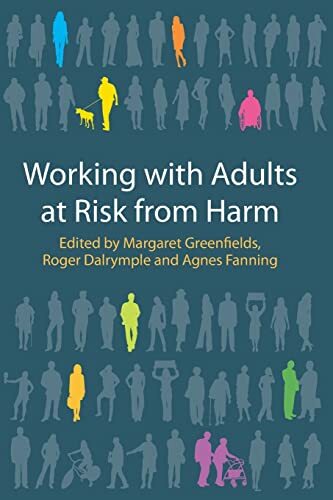 This comprehensive book uniquely acknowledges the overlap between different states of adult vulnerability within a range of health, social care and community contexts. The book looks beyond social work practice and legislative focus to examine the categories of ‘at risk’ and ‘vulnerable adults’. These include often forgotten groups such as homeless people, prisoners and migrant workers. 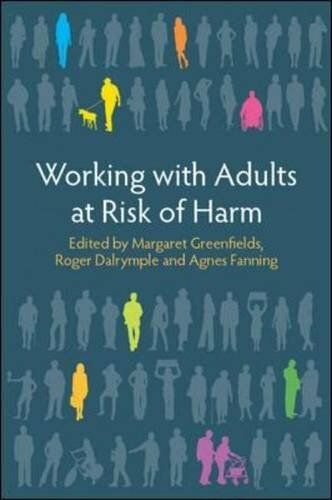 Working with Adults at Risk from Harm is ideal for third-year undergraduate students and Master's students in the fields of social work, social care, community health and education, as well as staff working in public sector who will have contact with vulnerable individuals in their professional life. Contributors: Jill Aitken, David Bailey, Jennifer Burton, Caroline Cole, Jo Edwards, Michael Farquharson, Lalage Harries, Tennyson Mgutshini, Melanie Parris and Kate Potter. Margaret Greenfields is a Reader in Social Policy and Research Director of the Institute for Diversity Research, Inclusivity; Communities and Society (IDRICS) at Buckinghamshire New University, UK. Roger Dalrymple is Reader in Education at Buckinghamshire New University, UK. Agnes Fanning is Head of Department in Primary Care and Public Health at Buckinghamshire New University, UK.